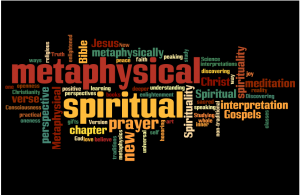 Metaphysical Interpretation of Scripture...and More! Make Metaphysical Bible Interpretation One of Your Key Spiritual Practices! Using the Bible can be an incredible source of inspiration, enlightenment, and growth as we master the art of living. But traditional versions of the Bible are difficult to read, contain an incredible amount of discrepancies, conflicting information, and mistranslations. When studied through the eyes of a Metaphysical Interpretation, the Bible suddenly comes to life! It offers clarity and practical understanding. It becomes a true spiritual practice that contributes to your enlightenment! See if any of these questions resonate with you . . . Does the Bible make sense to you as written? Have you gotten a little “Bible shy” because of your experience with traditionally literal interpretations of scriptures? Do you find it frustrating that there are mistranslations and inaccuracies in the Biblical accounts? How do you decide what is literal and what is metaphor? – Are the people real? – Did the events actually happen? – Did Jesus really walk on water? – Did Jesus turn water into wine? In your heart of hearts, do you believe there is no conflict between science and spirituality? What Do We Mean by a Metaphysical Bible Interpretation? as well as faults – within us. From a metaphysical perspective, people and events, animals, cities, and locations are all aspects and qualities within us. Metaphysical Bible interpretation takes Biblical stories and events beyond their literal interpretation by providing more allegorical, esoteric, and metaphorical perspectives to uncover the hidden wisdom and spiritual teachings contained therein. We hope you will find these translations meaningful, stimulating, and enlightening. House (big, small, brick, shingle, etc.) is interpreted metaphysically as symbolizing our consciousness. Feet generally represent intellectual understanding. A cornhusk represents the human personality. Darkness represents the unawareness of our divine nature. Nations symbolize major belief systems. Parents generally mean foundational thoughts. So, you see, metaphysical symbolism considers everything in the material world as qualities, aspects, and characteristics within us. The educational value of such a perspective means that you can begin to see that you are a wonderfully designed human being who has the ability to make wise choices and use your innate talents and skills to a live happy, healthy, and prosperous life … and you truly can walk the spiritual path on practical feet! Check out the MetaSpiritual/Metaphysical category under our Resources/Articles section. chapter by chapter, verse by verse! Check it out by clicking here! Enjoying the Site? Your Help Keeps It Going! We rely totally on the financial and resource support of you, and others who, like you, are more spiritual than religious. Your help in any amount goes totally to support our spiritual research and creation of resources for your spiritual awakening! Please pass the word to others, too!